His “rock star” status has earned him the opportunity to be the keynote lecturer at some top-notch obesity and health conferences over the past few years (including the American Society of Bariatric Physicians TWICE and even at Dr. Andrew Weil’s annual event) and that shows no signs of slowing down. 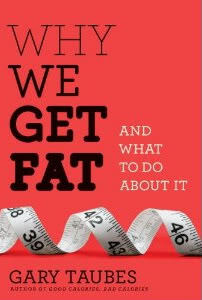 Now with the impending December 28, 2010 release of his brand new consumer-focused book entitled Why We Get Fat And What To Do About It, that prestigious position he finds himself in will undoubtedly become even stronger. With interest in Taubes at such peak demand, educated laypeople who frequent my blog are always excited to learn about new audio featuring the man himself. One of the fine organizations Taubes has affiliated himself with over the past year or so is one you’ve heard me blog about often: Innovative Metabolic Solutions (IMS). I recently featured an interview with Jeff Clinger, vice-president of client relations for IMS, on my podcast show to share more about what they are hoping to achieve with this group. Along with leadership from low-carb physicians and researcher Dr. Mary C. Vernon and Dr. Eric Westman, Taubes is seeking to educate physicians about implementing with their patients the scientific evidence he has uncovered in his research for his books to counter the dismal failure of the conventional wisdom regarding diet. 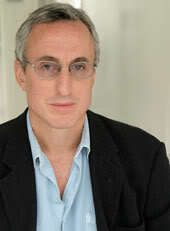 To that end, Gary Taubes participated in the recent IMS Summer Module Series on August 12, 2010 presenting the lecture “Why We Get Fat” followed by some spirited question and answer time with the medical professionals participating in the call. The lecture included some fantastic slides and the Q&A time offered insight into Taubes’ day-to-day professional life attempting to share these concepts with the people in positions of power and influence who could help shift the paradigm towards low-carb nutrition. The lecture itself is around 75 minutes long followed by nearly 45 minutes of questions ranging from Taubes’ reaction to the recent Foster study to whether he feeds his children bread. It was an enlightening conversation that I’m sure you’ll enjoy from start to finish.